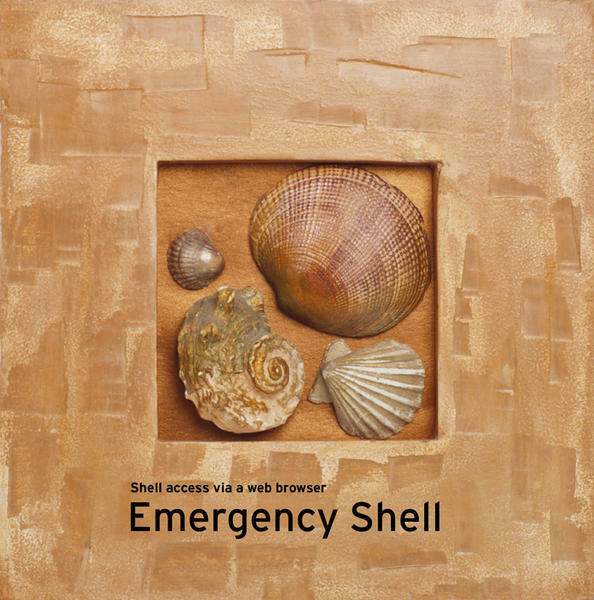 Secure Shell makes it easy to manage an external web server. Thanks to X forwarding, you can even run graphical tools to manage your computers at home, assuming the connection is fast enough. But administrators are often faced with situations in which they cannot or are not allowed to install additional software on the only machine available. And, in many cases, the firewall is so restrictive that nothing, apart from HTTP(S), gets through. In this case, PHP Shell and Shell In A Box can help you gain shell access to your server. PHP Shell supports shell access to servers even if the firewall blocks it or if installing software on the local filesystem is not an option. All it takes is a PHP-capable web server to execute shell commands. PHP safe mode must be disabled for this to work – its normal job is boosting security by restricting the execution of certain commands (see the “More Security” box). PHP Shell is easy to install: Just download the current version from the PHP Shell website and unpack the ZIP archive in a directory in your webspace. To set a password, call the URL http://server/phpshell/pwhash.php and enter the desired username and password combination. The output this command returns is a line that you need to add to the [users] section of your config.php configuration file. If needed, you can create multiple users. Besides usernames and passwords, you can also define shell aliases and a home directory for PHP Shell in your config.php . PHP Shell is now ready for action. You can run it by entering the URL https://server/phpshell/phpshell.php . Logging in with your username and password lets you start your shell session in your web browser. To begin, enter commands in the PHP Shell window (Figure 1). 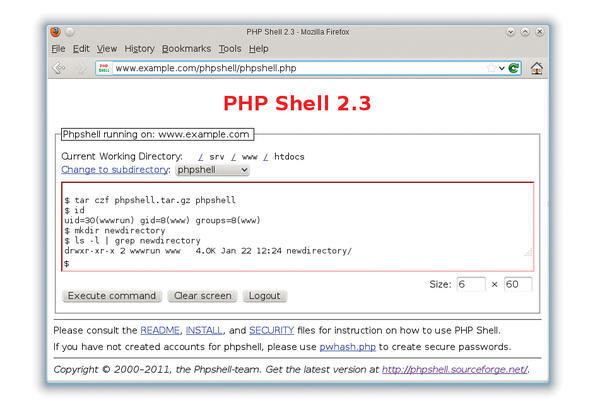 Figure 1: PHP Shell is recognizable as a web application. After confirming by pressing Enter or clicking Execute Command , the commands are executed and the results appear in the shell window. Each command has to do without additional input; interactive programs cannot be used. Each command must fit in one line. PHP Shell doesn’t understand command continuation. So, for example, you can’t enter a for loop in multiple lines (unlike the normal shell). The commands must be processed within a certain time frame – typically 30 seconds. This restriction is not enforced by PHP Shell: Both the web server (typically Apache) and PHP stop processing within a certain time. You can configure the limits in Apache with the timeout directive and in PHP with the max_execution_time setting in php.ini . PHP Shell executes the commands with the web server’s user and group ID, as you can see by running the id command. This setup can be quite useful if, for example, you need to create a directory to which the web server will write. Typically, such an operation would not work with FTP because your user ID would be different; you could only create globally writable directories. In contrast, PHP Shell handles the task perfectly. PHP Shell offers a simple history function that lets you scroll back and forth with the arrow keys through the last commands you ran. However, PHP Shell doesn’t give you more advanced history features such as a search. You can use the Size input boxes below and to the right of the input area to change the size of the shell window by entering the desired values and then running a command. PHP Shell also includes a simple editor (editor filename ), which you can use to modify any files for which the web server has write access. Shell In A Box (Figure 2) is useful if you have shell access to the server and can set up a number of programs on the server but want or have to use a web browser as the client. The project offers the source code on its website along with DEB packages. Users on Debian and its derivatives, as well as Ubuntu users, can conveniently install the binaries via the package manager. 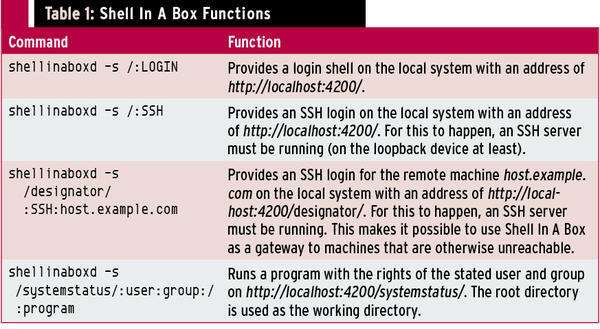 Figure 2: Shell In A Box looks like a genuine command line at first glance. If you use any other distribution, you need to download the source code tarball, unpack in any directory, build by typing ./configure; make , then install Shell In A Box by issuing the make install command with root privileges. The call sets up the program in /usr/local . which lets you connect to host.example.com with the URL http://localhost:4200/host1/ and open an SSH connection to the computer host2.example.com with http://localhost:4200/host2/ . In contrast to PHP Shell, in which each line is entered in full, then processed, and the results returned to the browser, Shell In A Box supports text-based, interactive sessions – for example, with the vi editor. The performance is slightly poorer than in a “normal” terminal, but you will not typically notice any major restrictions. Shell In A Box provides a number of additional options, and it is worth checking out the documentation. The Windows PowerShell web-based console lets you run PowerShell commands and scripts in your browser. The small but secure Hiawatha web server provides an appealing alternative to the complex Apache and other alternatives. Installing Active Directory Federation Services is complex and involves several GUIs. For admins entrusted with building a farm, repetitive clicking in various management consoles can become an annoying and error-prone process. The call for automation is loud.